When I was a little boy, I would come home from school and watch Chicago Cubs baseball. I grew up in Benton Harbor, Michigan, so one might think I would have become a fan of the Detroit Tigers. And I did follow the Tigers through those great years with Denny McLain, Mickey Lolich, Norm Cash and Al Kaline, but they were rarely on TV in my hometown. Benton Harbor is 187 miles from Detroit but only 101 miles from Chicago by land, and 50 miles across the open waters of Lake Michigan, so our dominant television, radio and newspapers emanated from Chicago. In those ancient days, we only received four channels of television so the choices after school were slim—soap operas or baseball. I started watching in the 1960s when the Chicago Cubs put together their best baseball team in many years. 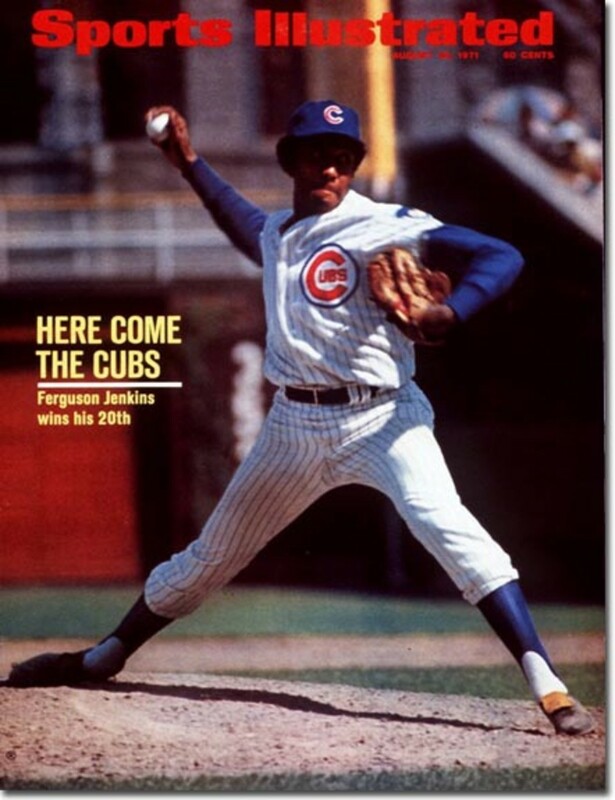 The Cubs had a winning record only one year out of twenty until 1967 when they suddenly put together six winning seasons in a row—but no championship. It was during these years when my love affair with Chicago Cubs baseball began. My dream was to someday play center field at Wrigley Field. I can remember every player on those teams. 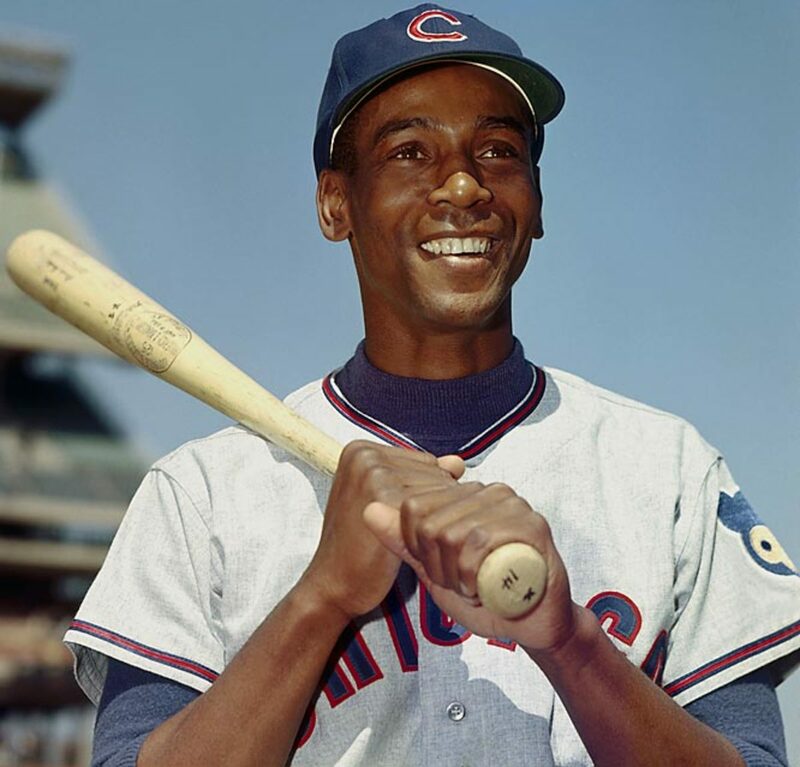 Ernie Banks was not only a great player—long ago honored in the Baseball Hall of Fame—he was an infectious personality, full of sunshine, and became known as "Mr. Cub." 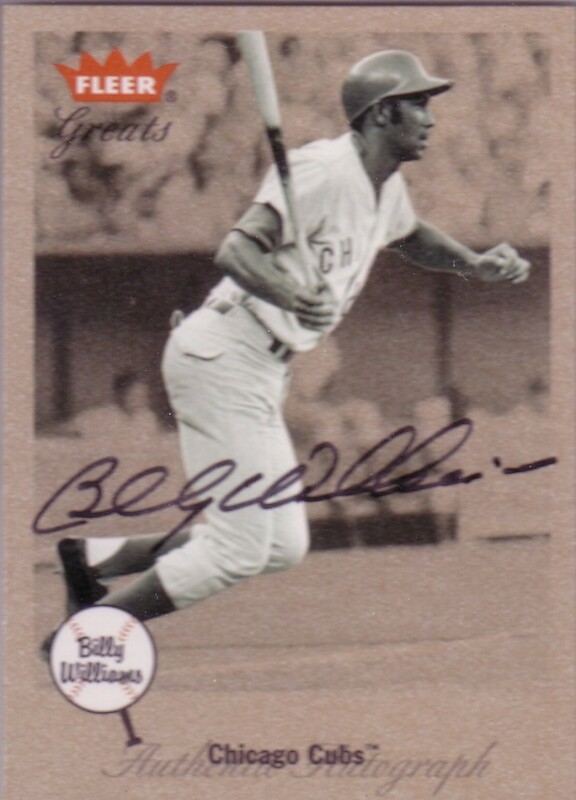 When he hit his 500th career home run in 1970 only eight other baseball players had ever accomplished that feat. 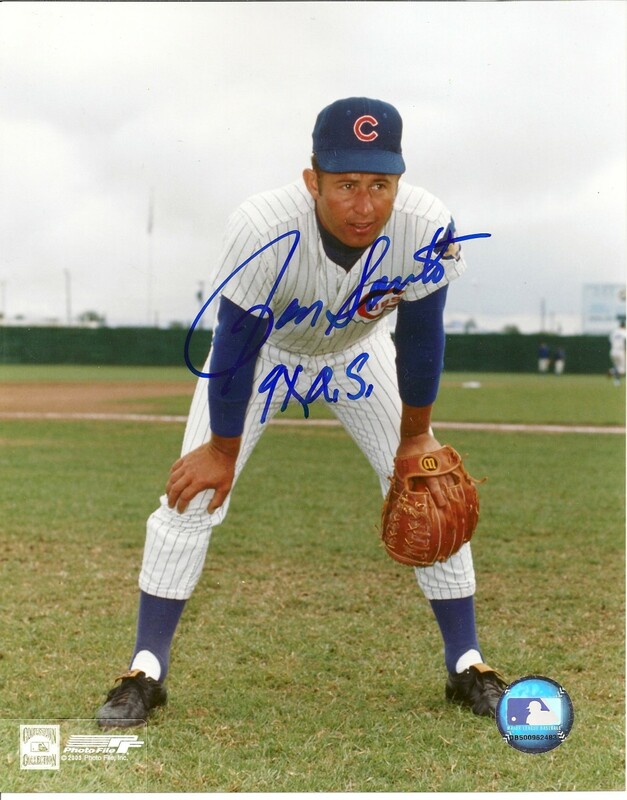 The team of this period also included future Hall of Famers Ferguson Jenkins and Billy Williams—and a guy who should be in The Hall: Ron Santo. 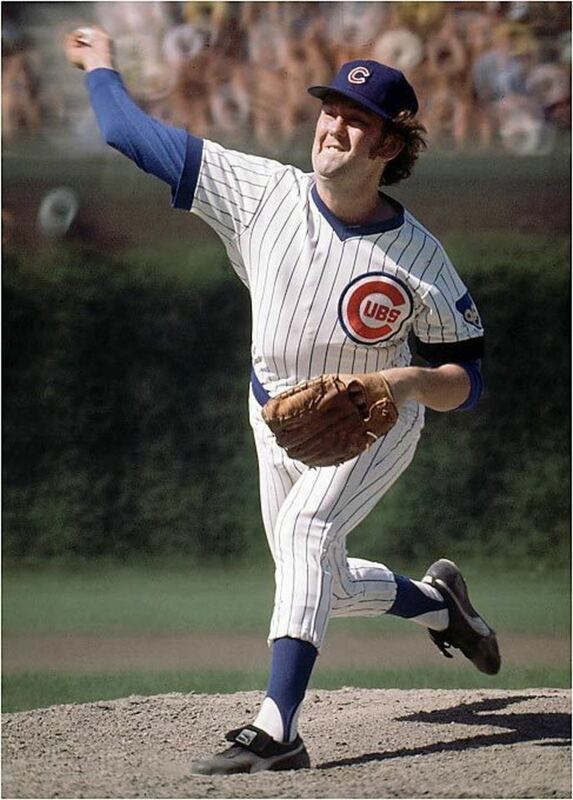 Jenkins won 20 games or more six consecutive seasons as the Cubs ace pitcher, and still today is one of only four baseball pitchers in the history of the game to have logged over 3000 strikeouts of batters while walking less than 1000 of them. He also pitched the complete game an amazing 267 times! Despite their great success, this team is best known for their astounding collapse in the 1969 season—one of a series of heartbreaks for Chicago Cubs baseball fans, that have led many to the conclusion the team is cursed. The team led the league by nine games six weeks before the regular season ended but finished eight games back—one of the worst disasters in the history of baseball. 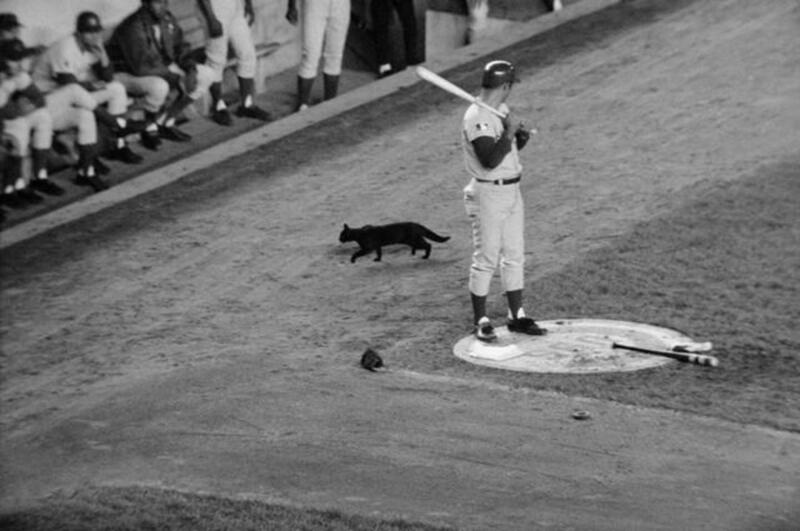 Playing at Shea Stadium against the eventual champions, the Amazin' Mets, a New York fan let a black cat onto the field, which made a beeline for Cub's Third Baseman, Ron Santo, and proceeded to stare at him. This was not the first odd bit of folklore surrounding the Cubs. There was the Curse of the Billy Goat. The legend is that the Cubs had a fan who bought a seat for his Billy Goat, Murphy, to watch the game with him. During the 4th inning of the 4th game of the last World Series in which the Cubs ever appeared—in 1945—other fans in that seating section complained about the smell of the goat and it, and its owner, were subsequently evicted from Wrigley Field (the Cubs home stadium). The owner of the goat, rumored to be of Transylvanian descent, pronounced a curse on the Cubs and Wrigley Field. He proclaimed they would never again play in the World Series. From 1973 through 1983 the Cubs did not once post a winning record and their moniker became "The Lovable Losers." In 1977, the team won 47 of its first 69 games—a remarkable accomplishment—only to lose 40 of its last 60 (it is generally conceded that a team that reaches 25 games over .500 during a season will win the championship: but not the Cubs). In 1978 and 1979 they were outstanding in the first half of their seasons only to be lousy in the second half. This became known as the "June Swoon." Cub fans became well acquainted with great expectations dashed to the rocks in the end. A Cub fan will learn longsuffering and forbearance. Instead of a curse, it came to be perceived that the team would fail late in the season because Wrigley Field was the only stadium in Major League Baseball without lights, which forced the Cubs to play all their home games in the glaring sun, supposedly wearing them down. This was because Wrigley Field was built in 1914 (for $250,000) in the midst of a bustling neighborhood and the residents did not want baseball to be played at night. 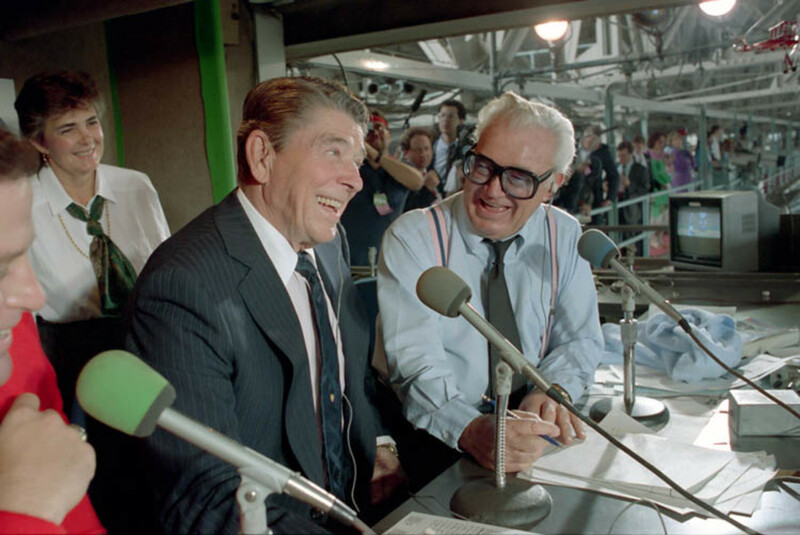 After years of haggling, lights and night baseball finally came to Wrigley Field in 1988. I love Wrigley Field. One never forgets the first time you come up that ramp and see it in person. The outfield wall is brick; and a month or so into the season covered with Ivy. Sometimes, balls hit to the wall disappear into the Ivy. So a special baseball rule is in place, only at Wrigley, allotting the batter of such a ball a "ground rule double." Behind that wall are the Bleachers, famous for the "Bleacher Bums." 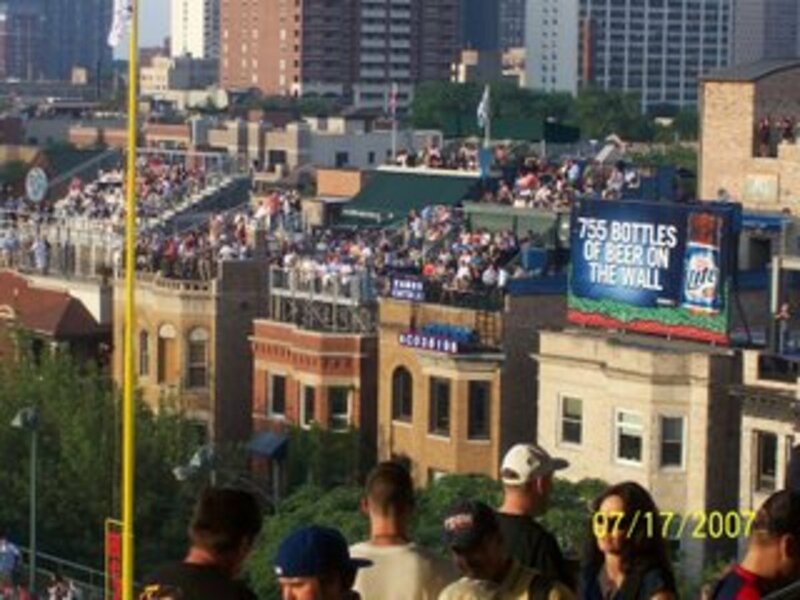 Behind them are Waveland Avenue beyond left field, Sheffield Avenue beyond right field, and beyond these avenues, rooftop viewing stands on homes around this end of the park. Fans routinely gather on the avenues ready to catch home runs that leave the park. There are two games played at Wrigley Field. 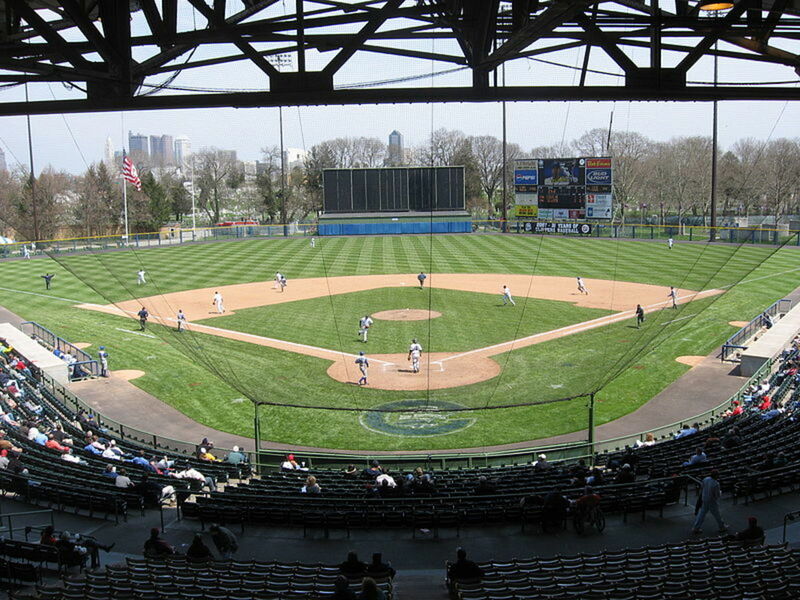 The stadium faces northeast from home plate and hosts capricious winds. In colder weather, prevalent early in the season, the wind tends to blow in off Lake Michigan, knocking down fly balls, and making it a "pitcher's park," only suited for "small ball." In the summer months, the wind usually blows out making it a great hitter's park and a whole different type of strategy is required. And then there is the scoreboard: the only one extant with a man inside who manually changes the numbers for the crowd; as opposed to the modern electronic scoreboards. Our hearts were devastatingly broken again in 1984. 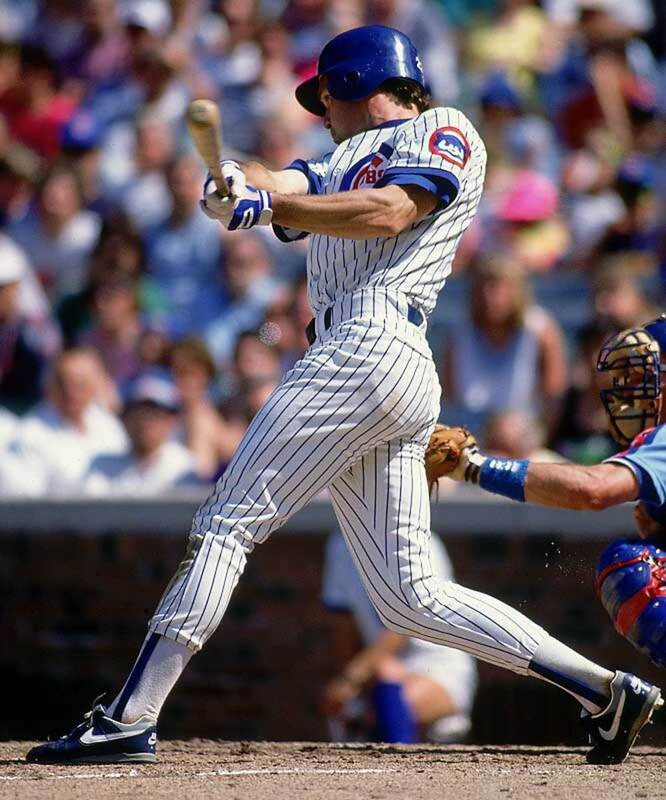 The Cubs led the league in victories behind pitcher Rick Sutcliffe (16 wins versus 1 loss) and the Most Valuable Player Award winner in the National League that season, second baseman Ryne Sandberg. 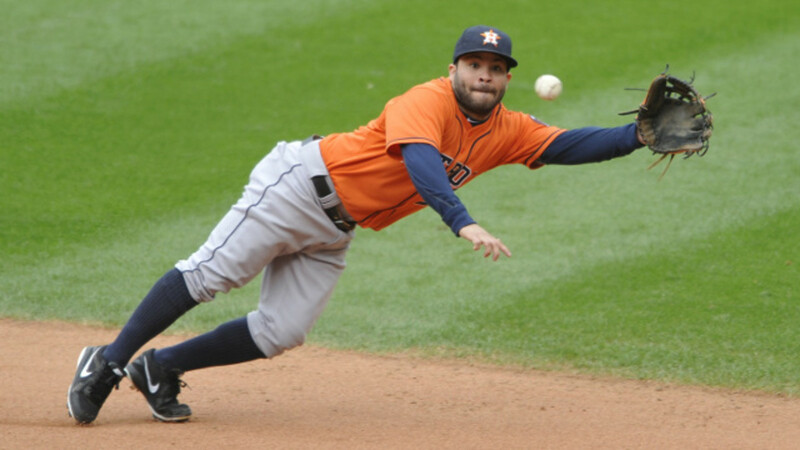 They had to play a best of five playoff series against the San Diego Padres to reach The World Series. The Cubs handily won the first two games—only to inexplicably lose three straight to a clearly inferior team. 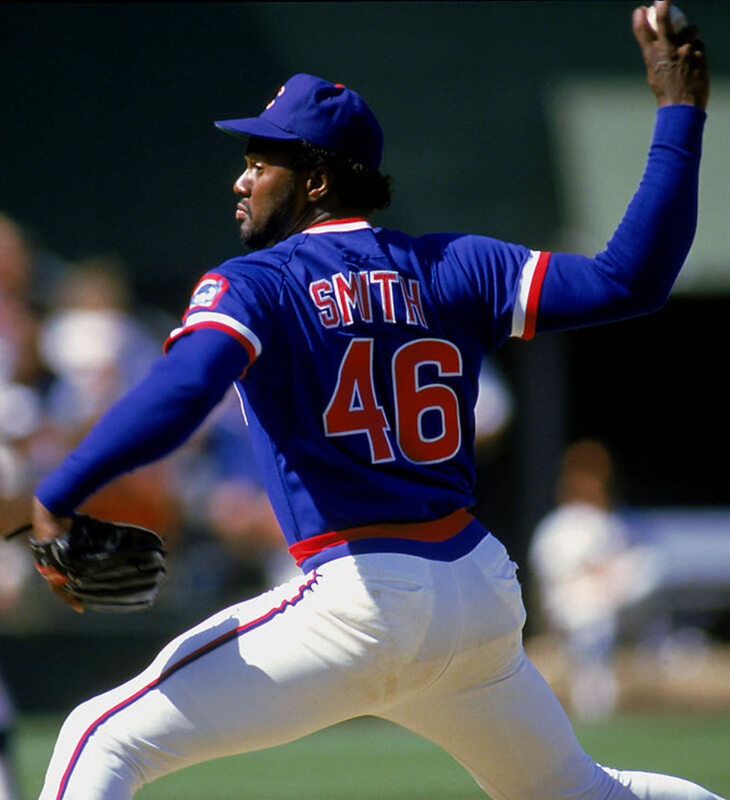 Again the curse struck, as their closer, Lee Smith, blew a lead in Game Four (a rarity) and while leading late in Game Five a routine ground ball went through the legs of their sure-handed First Baseman, Leon Durham, leading to the loss of the opportunity to play in the World Series. I was not the only Cub fan who wept and couldn't sleep for a couple days afterward. The next year the June Swoon made a vengeful comeback. 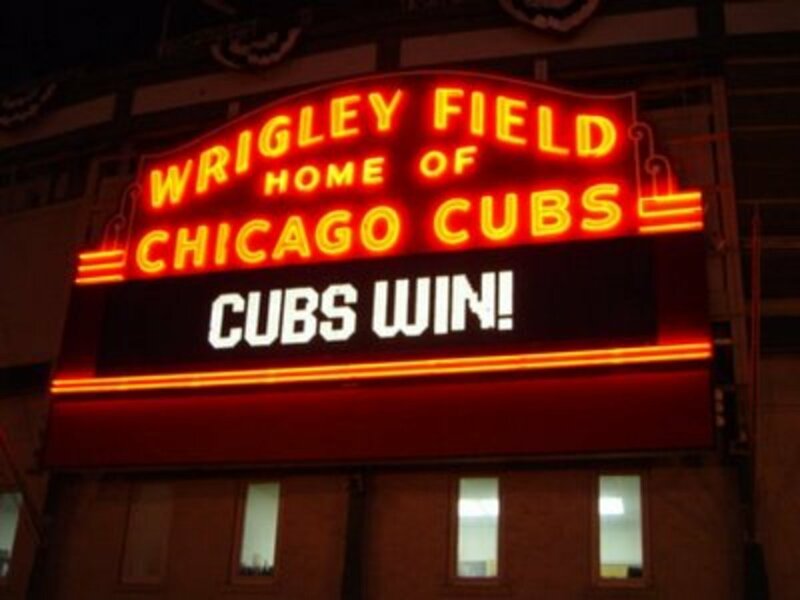 Then in 1989, we had our best team in years and every Cub fan thought, "This is the year!" 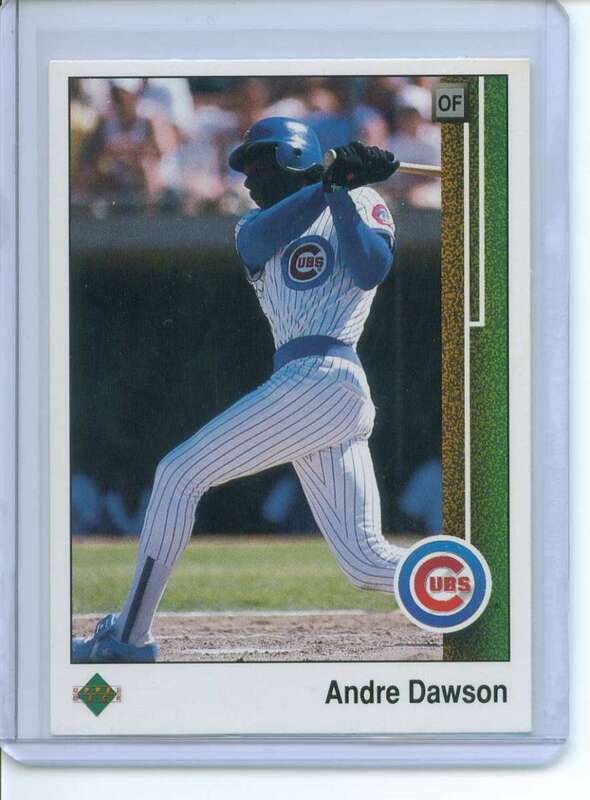 Sutcliffe and Sandberg were still with the team and they were augmented by the Awesome Andre Dawson, as well as young stars Greg Maddux and Mark Grace. They lost three straight games again in the playoffs; and were shut out of the World Series when their previously dependable bullpen collapsed. I always look forward to our interactions, my friend. I enjoy your mind. James, When you have your health, you have your wealth; at least, that's the way I see it. May your cough be healed now and may you be restored to perfect health now. Thank you for appreciating my encouragement, such an easy thing for me to do with regard to you. stessily— You are most welcome. I have had a cough for over 2 weeks, which makes it the longest I have ever had any such problem. Other than that I feel pretty good these days. I always appreciate your encouragement. James, Thank you for the link to the continuation. I see now that the continuation is even linked at the end of this hub; I didn't see it a week and a half ago, but I'll blame that on my incipient sinus turmoil, which has marred me with blearily tired eyes, an irritatingly incessant cough and uncontrollably flooding nasal cavity ("the excess mucous, you know," she observed unnecessarily graphically), and a diminished attention span for several weeks now. I think I'm on the mend now, though, which assuredly will be appreciated by all who have crossed my noisy path of late. I hope that you are recovered from the flu now. Two weeks is such a long time not to feel well within one's self. I shall treasure reading the continuation within the next few days. I'm dangling it as a treat for revitalizing my energy and making up for lost time. I am well pleased to find a kindred spirit. You love the Cubs too! I will tell you this: being a Cubs Fan makes you learn longsuffering and forbearance. I am so glad you enjoyed this little article. It is one of the first I published. You know I sincerely appreciate the visit and "All the votes." Thanks again for your lovely remarks. ps I am sorry for not acknowledging your comments sooner but I have been down with the flu for almost 2 weeks. James, "How about them thar Cubs?" was a favorite greeting that my friend used to bestow upon friends, foes, and unknowns alike. I noticed several, invariable reactions to Adam's cubby question: puzzlement (as in, "Who cares? "), nonplussed ignoring (as in, "Why is he asking me this? I hardly know him! "), smiles/laughter/shoulder shrugging. Them thar Cubs have that effect: you either take them or you leave them. I love the Cubs! I kinda would like to see a repeat of their glory days in my lifetime, but then, I like it that they keep running up that hill, showing that the game's about more than monomaniacally sweating the trophies. A choice between soap operas and baseball! Yes, I'd easily choose baseball, too. You mention the winds blowing in off Lake Michigan. I love those winds in the Windy City. I miss them; just as light is different in different places on earth, so are the winds. Those Windy City winds are like no other winds on earth. Professional Sports Star— Your remarks are quite interesting indeed. Thank you for participating in this Hub. Pitchers must keep their point total under 5 to stay in the game. The catcher counts the number of pitches the pitcher completes before reaching 5 points, and then the catcher becomes the pitcher and vice versa. Professional Sports Fan— I surely agree with you all the way. Thank you very much for taking the time to read my Hub. I appreciate your comments. Just the very nature of the game makes it difficult to be "on" all the time, or at the right time. justom— Thank you. Cincinnati is a cool town. I've been there and really enjoyed the ambiance. 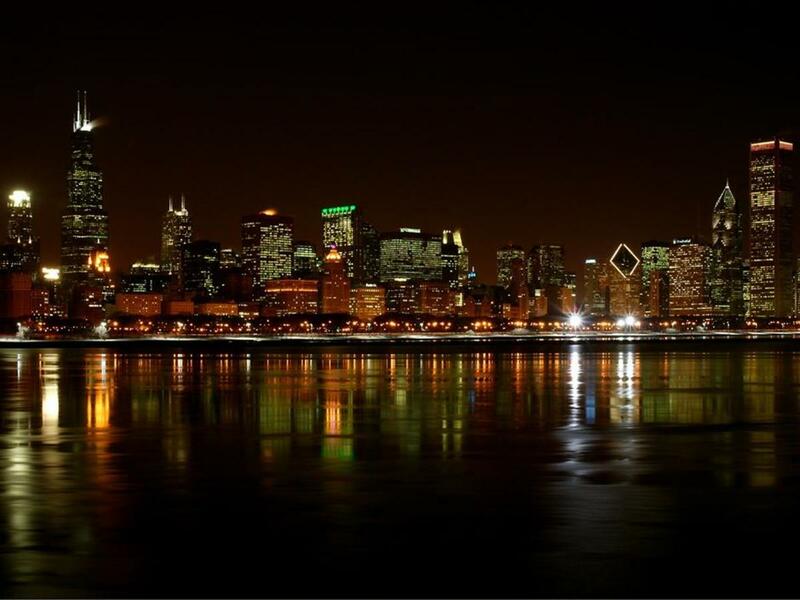 Chicago is a great city, no doubt. I will check out your Hubs. Thanks for visiting and commenting. Always nice to meet another baseball fan. Nice hub James I'm in Cincinnati and love the Reds but I have always been a baseball fan. I also have a special thing for the Cubbies, having had the pleasure of seeing those guys you talk about and to see 3 games at Wrigley. Man, in fact, now that I think about it I just love Chicago!! I have a couple of hubs about the Reds if you have time check them out. Peace!! kingis— I have been to Wrigley about 50 times. Lord knows how many Cubs games I have watced on television. Thousands. So James, how many Cub games have you attended at Wrigley? Rose Kolowinski— Thank you so much for visiting and leaving your kind comments. Ryne Sandberg is definitely one of my all-time favorite Cubs players. You are most welcome! Interesting hub! Never knew about the goat curse! Explains a lot! I'm a Cubs fan. You have to be a loyal one to stick with them! I've been to Wrigley Field several times and I hope they never build a new stadium...it has character. Ryne Sandberg is my favorite Cubs player. 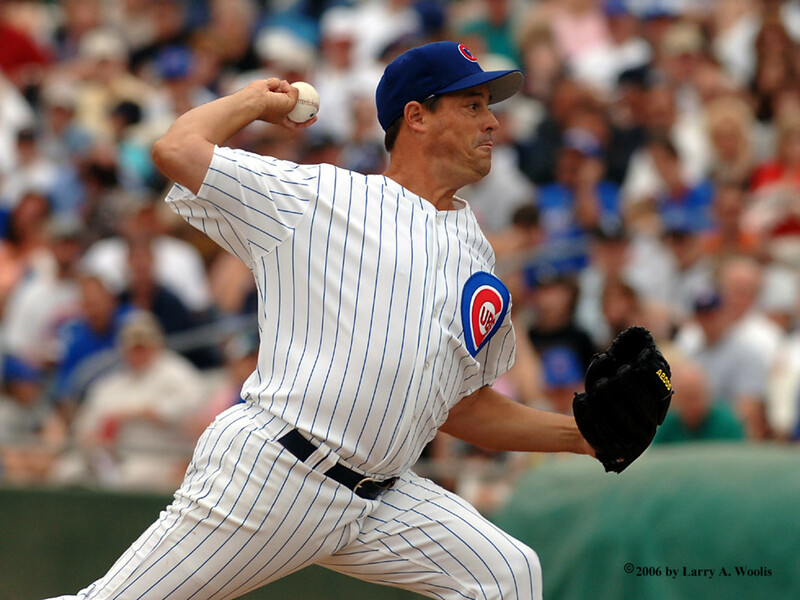 He was coaching the Peoria Chiefs last year and when he was in my hometown playing the Cedar Rapids Kernels, I stood in a long line to get his autograph on a Cubs magazine which featured Ryno. I was 3 away from him before he had to stop signing and start the game...dang! Going to go read the continuation hub next. Thanks for the great info. Drake's Compass— I am a big admirer of your namesake. And from what I see on your profile we do indeed have much in common. That's great! I look forward to reading your writing. I like the Red Sox. They are my favorite American League team. Thanks for coming to visit and making contact. I look forward to reading more of your posts...judging from your topics, it looks like we have quite a bit in common! And I hope to visit the Friendly Confines someday. trooper22&mdash; Hey man! I am pleased to met another Cub fan and Chicago man. I am going to check out your Hubs later today. Thanks for stopping by and introducing yourself. great hub!....Go CUBS! I learned to deal with the heartbreak in 69'. Now I am 46 and just digging the field of green. I am born and raised in Chicago, and Love every sports team we have. How About dem HAWKS!.... (I am bummed 0-2 to the wings). But Rocky is doing great things. Thinking out loud— It has been at times like a stake through the heart. This year, I am determined to just enjoy the games, the competition, the strategy, the performances; come what may. The Blackhawks are playing great! Thanks for reading and for your comments. One can only imagine what it's like to be a cubs fan. always able to put a good team on the field, but never able to reach the prize. I'd like to see it done soon. Hey, how about them blackhawks! Larry&mdash; (If I may call you Larry?) You saw Mickey play!? Wow! You have a magnificent stadium, Camden Yards. I was there once but the Orioles were on the road that day so I didn't get to see a game. I know you guys have Andy McPhail now. He is a good man. 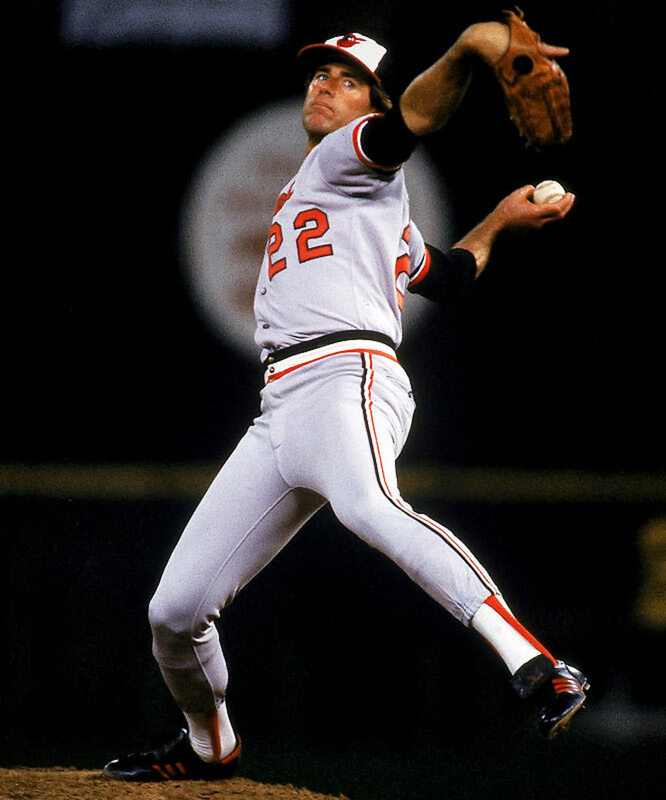 I kinda root for the Orioles for reasons unknown to myself. Maybe because they are the underdogs every year lately. Cubbie fans are fanatically faithful. Here in Baltimore excitement for the Orioles ebbs and flows and there are always a few faithful no matter what; but the Cub fans are just phenoms of dedication and that make the Cubs National Favorites. Even WGN TV is a national cable channel now, allowing all of us to enjoy Chicago Ball, especially Cub games. P.S. I can remember seeing Micky Mantle playing center field at Memorial Stadium in 1959, I was 8,we got splinters and sunstroke in the bleachers, but it was great! 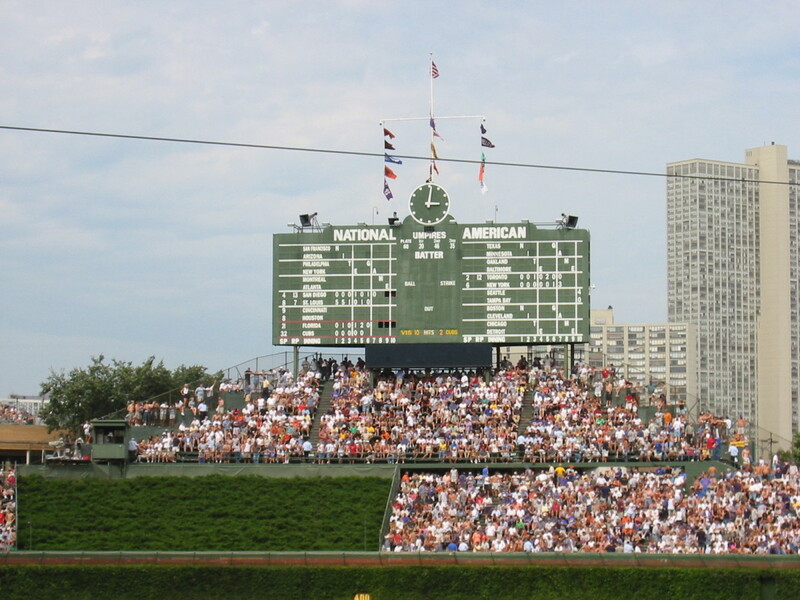 eovery&mdash; Wrigley Field provides an unforgettable experience&mdash;especially the first time. Thank you for hubbing by and commenting! I have always wanted to go to a Cubs game in Wigley. Saw them play in Minneapolis and Sosa hit a homer. Robert&mdash; Thank you for the encouragement. 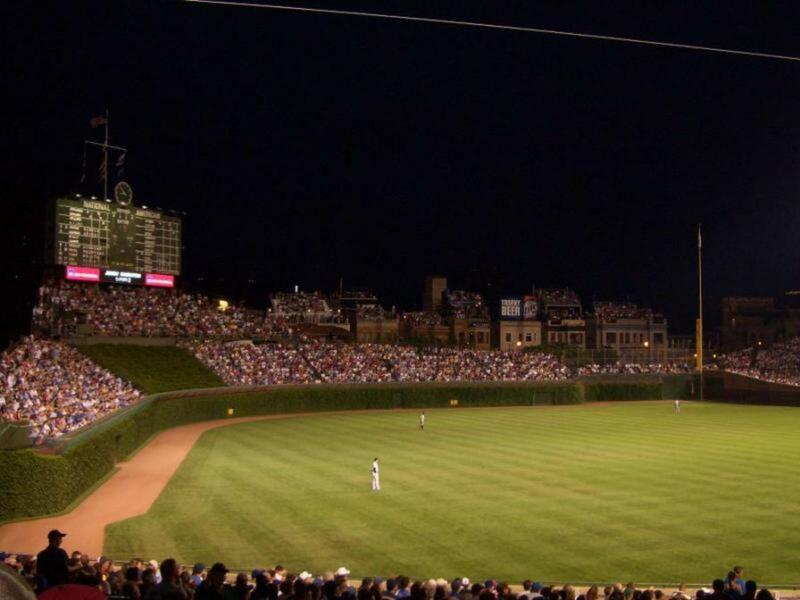 There is no place on Earth like Wrigley Field. I appreciate you for taking the time to view my pages. James, As a friend and fellow fan, job well done. The Cubs would be proud of a fan like yourself. All ball fields should be like Wrigley Field. For your friends and readers who do not follow or know the Cubs you did them a great service. Mr. Schumann&mdash; I am glad you did and I appreciate you saying so! Brute— Thanks so much for reading and commenting. A lot of former Cubs have moved on to teams that won the World Series. And a lot moved on only to fizzle out and disappear from the scene. There are many superstitions in Baseball, and one of them is the Ex-Cubs Curse. It says: the team with the most Ex-Cubs on their roster will lose! Way to go James. I like it. Cursed by the Goatman and the picture of the black cat crossing the players path,makes this an interesting story.I've read somewhere about the different superstitions athletes have,wearing lucky socks and such,I wonder how many players left the Cubs or were traded only to go on and win the world series with other teams.I'll be staying tuned to find out more and scanning the headlines to see how long the curse of the goatman lasts! Buzz&mdash; Thank you for taking the time to review my Page. I feel hagiographied! I appreciate your gracious words. I am pleased your enjoyed it and it is always nice to meet another Cubs fan! Especially one who has suffered longer than I have! Jim I always knew in my heart that there was something very special about you. Your amazing wit and your many talents are second to none. This current blog has "REALLY" confirmed what a special person you really are. I have been a CUBS fan since 1951. WIN LOOSE or Draw they are "THE CHICAGO CUBS" and that's the end of this story.